How's the weather treating you? Here it's hot in Bangalore. 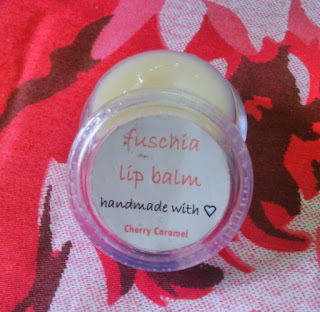 Today am with a review of Fuschia cheery caramel lip balm. I know am late on this review, but then I just wanted to share my review and tell you all how great the lip balm. Let's get started with the review before I start raving about the product here itself. Soothing and subtle fragrance of natural oils. Beeswax, Shea butter, Kokum butter, Castor oil, Jojoba oil, Sesame seed oil, Olive oil, Olivem 900, Caramel flavour, Burnt cane sugar. First and foremost the aroma of the lip balm is like a caramel candy or caramel chocolate. The lip balm comes in a small tub sort of package which is very nice and sturdy. The ingredients list and other details regarding the lip balm are accompanied by a small printed paper note (very cute I feel). 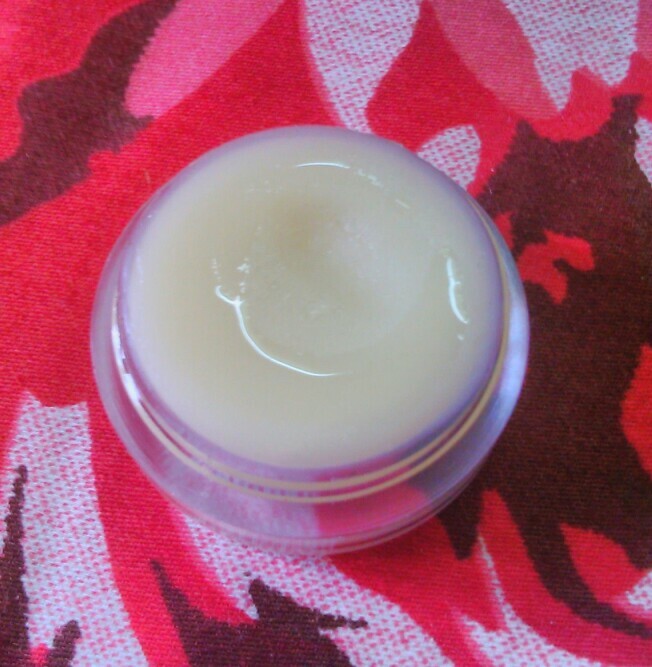 The texture of the lip balm is non greasy and creamy. Though colour is visible in tub it's actually translucent in nature and melts when kept on hand for some time. It is very moisturising lip balm and a very small quantity is enough for lips. If you have severe chapped lips or you are using it in winters then overnight application is recommended. After I applied the lip balm I dint feel the need to apply it for two days as it kept my lips hydrated (I didn't apply lipstick during these 2 days). Some may find the need to use it daily. Very hydrating and moisturizing for lips. Translucent so can be blended with lipstick of your choice to give it a tint. Travel friendly package due to sturdy and small tub. Shelf life - 30 months from date of manufacture. Availability - Available on Vkare website as well as major shopping portals. It a really nice lip balm for moisturising the lips especially in winters. It can be blended with lipstick for a tinted effect. Sturdy tub makes it travel friendly and doesn't crack on dropping (accidentally dropped a few times). The product does what it claims and has no false pretence. Tell me if have tried any handmade lip balms or the one which I have reviewed? !